Good morning! It’s hard to believe that January is quickly coming to a close! 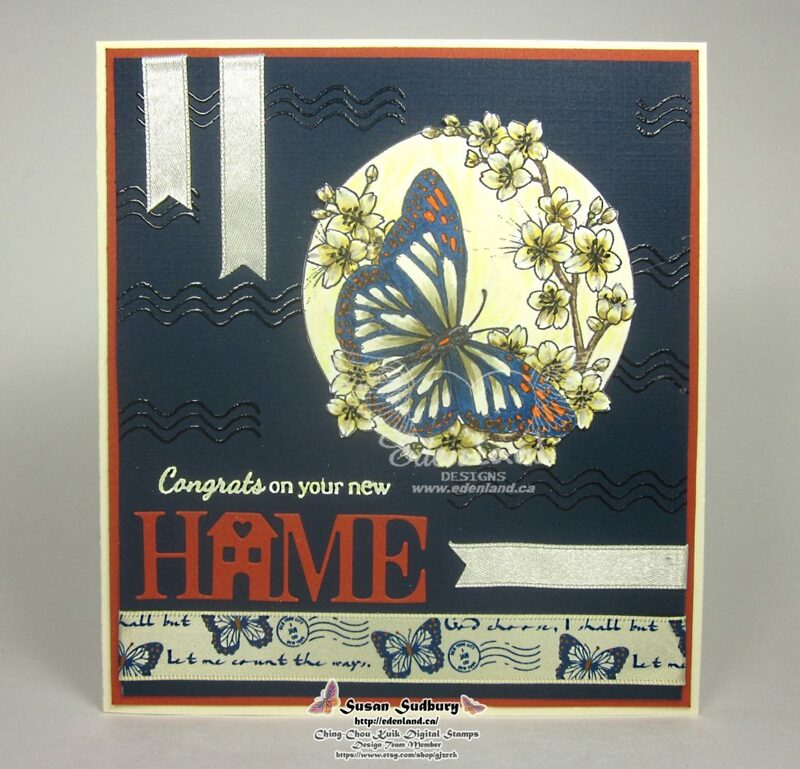 This is my last inspiration project for the Ching-Chou Kuik Facebook challenge this month, with the theme of “New Beginnings”. The blog has the same theme, so if your project qualifies for one, it qualifies for both (Facebook challenge requires that you use an image by Ching-Chou Kuik) – double the chance to win some of these gorgeous images. But HURRY, time is almost out!! 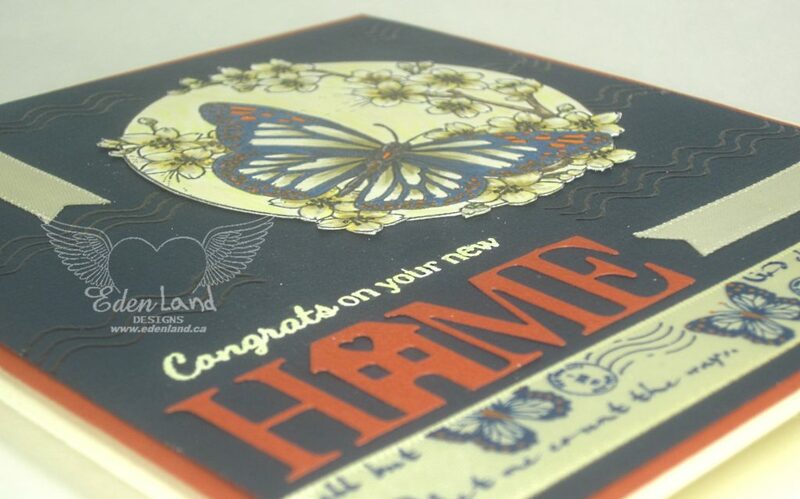 I used the Butterfly from this set for my New Home card. Since the DT was challenged to use 2 different ribbons on their project this week, I colored the image with my Copics to match the butterflies on some ribbon that I have had for forever (2 spools yet, LOL). I was super happy that I managed to match the colors up as well as I did. Love butterflies!!! Its so beautiful and I love the design and the papers yoy have used!!! 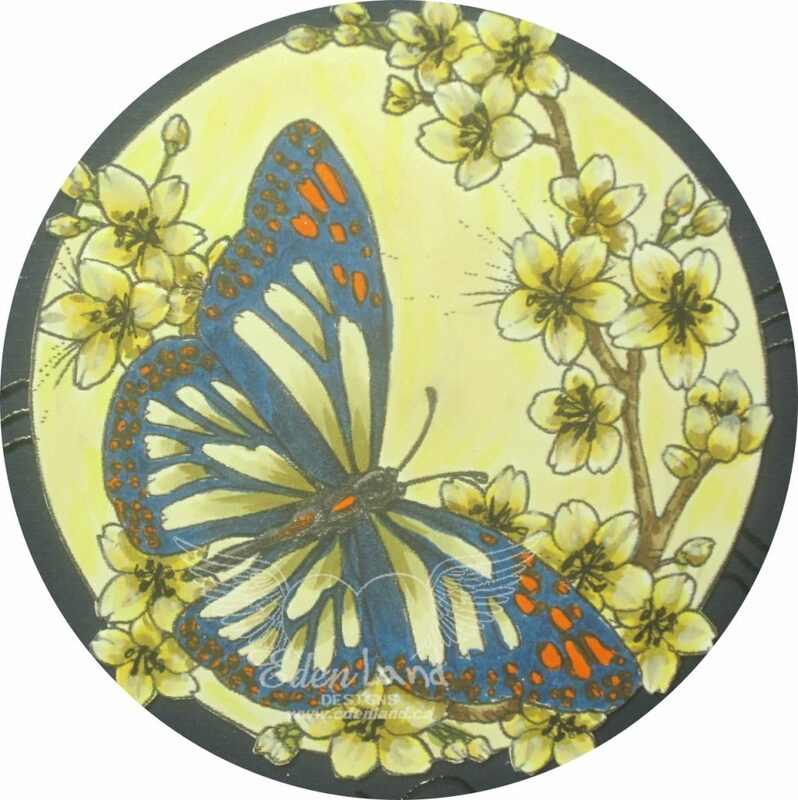 Thankyou for coming and spinning the butterfly wheel with me this week. This card is beautiful. I hadn’t realised that Ching-Chou kuik did images of just butterflies. I love the colour combination you have used. Hugs Mrs A. This card is so beautiful, who gets it will be so happy. Thank you for playing with us in Pink Gems Challenge.